Erin Geraghty | Browdy and Neimark, P.L.L.C. Erin Geraghty is the Office Manager at BROWDY and NEIMARK. Ms. Geraghty joined the firm in 1992, as a receptionist/administrative assistant. 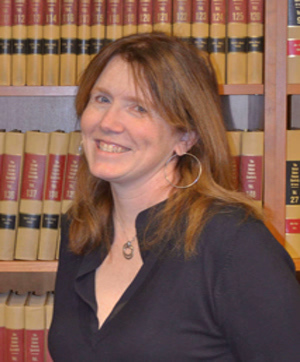 Through the course of her tenure with the firm, Ms. Geraghty has worked as a secretary, patent paralegal, new filing specialist, docketing clerk and docketing manager. Because of Ms. Geraghty’s extensive experience, she is able to answer and assist clients in almost any non-technical matter. Clients often turn to her when dealing with difficult formality issues such as deceased or recalcitrant inventors.